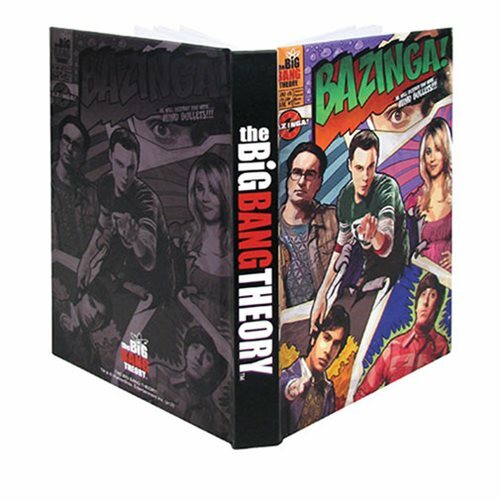 BAZINGA!™ It's a The Big Bang Theory Journal! Includes 320 lined pages, plus a 4-color cover. BAZINGA!™ It's a The Big Bang Theory Journal! Measuring approximately 8-inches tall x 5-inches wide and containing 320 lined pages, this glue-bound book from Bif Bang Pow! features 4-color cover art that includes images of the gang and The Big Bang Theory logo. Order yours now so you can take it with you to all this year's geeky events! Ages 14 and up.